This book is bargain priced from 05/20/2015 until 05/23/2015 Check book price before you buy, as prices can change due to expiration of the sale or other technical issues. If there is one thing you want to read in life, let this be it. My #1 Bestseller, which launched on May 5th, 2015, is $0.99. It also includes a free audiobook! 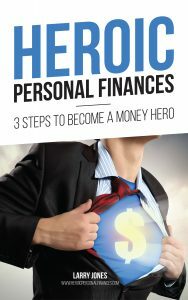 In this practical and action-driven book, I explain how you can master your money without sacrificing what you love and having to live off of Ramen noodles and PB&J sandwiches everyday.